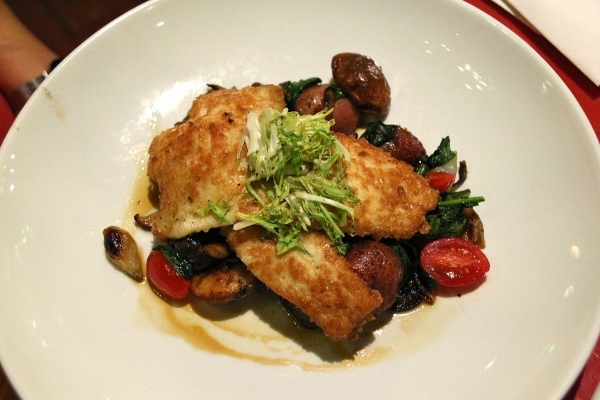 We had some really great meals during our recent trip to Walt Disney World, some more noteworthy than others. 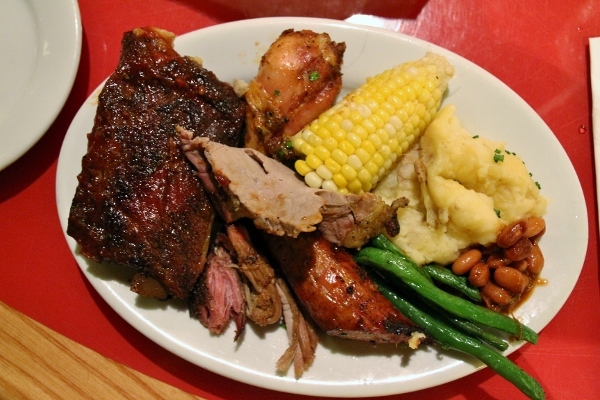 One of our favorite meals from the trip was at our home resort, Disney's Wilderness Lodge. 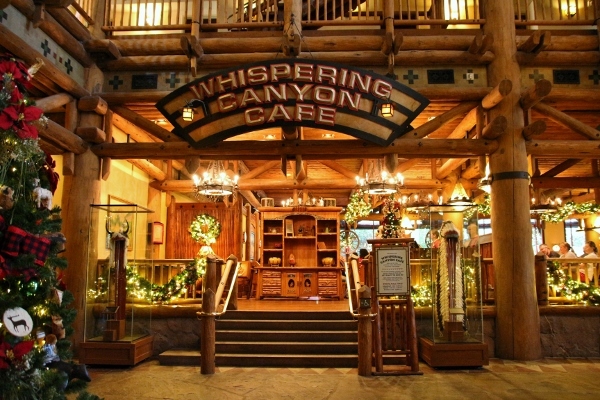 Whispering Canyon Cafe is a unique dining experience, much more than a simple meal because the boisterous staff involves diners in the fun and crazy antics throughout the dining room, which opens up into the expansive lobby of the resort. 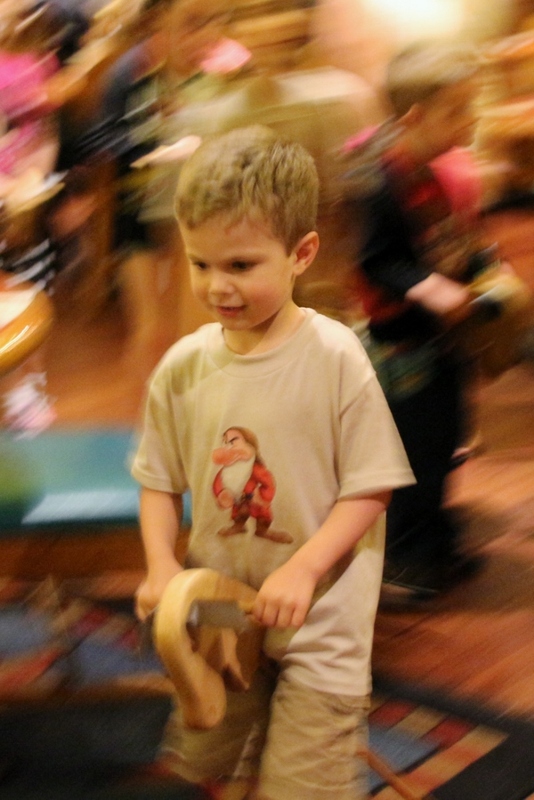 I will say that a meal at Whispering Canyon can get very loud. We had a couple members of our dining party who are sensitive to a lot of noise, and I highly suggest bringing headphones or earplugs if you find yourself in that situation. 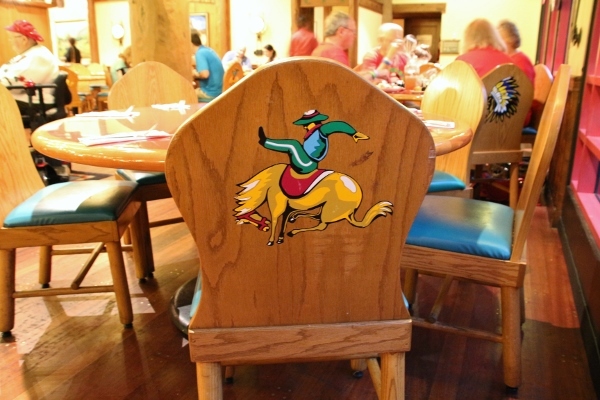 Periodically throughout the meal, the sassy staff will wrangle youngsters to take part in "pony races" around the perimeter of the dining room. A cacophony of calls for ketchup ring throughout the room as diners yell out "we need more ketchup!" and their neighbors from around the dining room bring over loads and loads of ketchup bottles. This becomes a pretty constant symphony throughout the meal. It's so much fun for the kids, but really the whole family gets a laugh from these antics! We all had such a blast. The staff also has a bit of attitude, and will not have the same politeness you may expect from other Disney cast members. Your server may toss a handful of straws at your table as she walks by, or poke fun at members of your family for various reasons. Once again, it's part of the experience and something you should expect before planning a meal here. And speaking of your meal, we came here for dinner, although breakfast and lunch is also served. 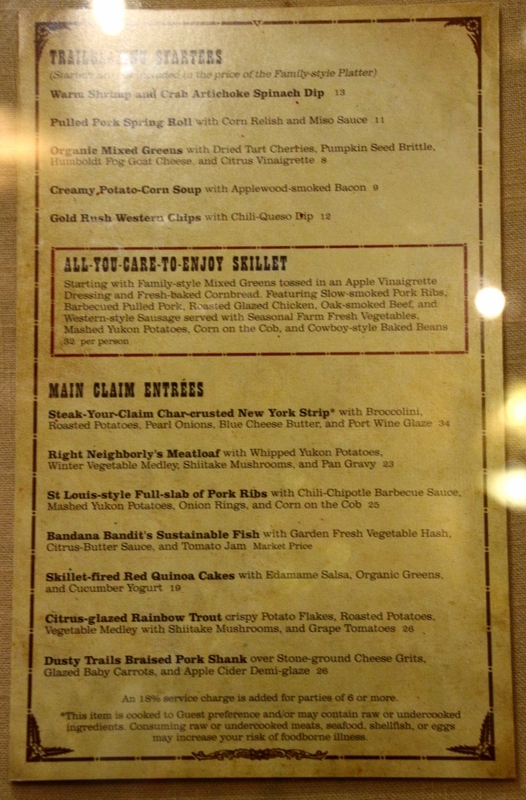 Whispering Canyon Cafe is known for its All-You-Care-To-Enjoy Skillets, but there are many wonderful a la carte menu options as well. My mom ordered the Citrus-glazed Rainbow Trout with crispy potato flakes, roasted potatoes, and a vegetable medley with shiitake mushrooms and grape tomatoes. It's a lovely, colorful presentation, and the fish is excellent. Flaky, and well-seasoned. 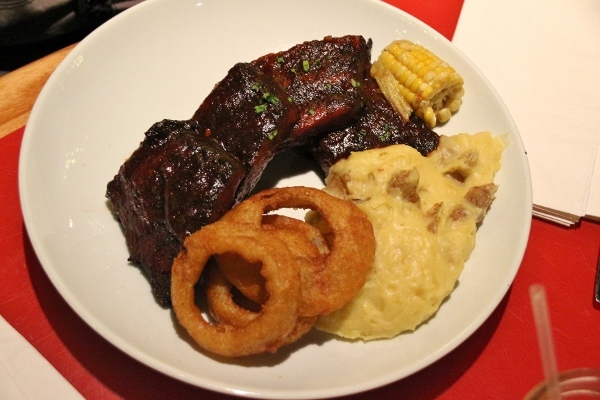 My dad opted out of the skillet, but still craved ribs so he picked the St. Louis-style Full-slab of Pork Ribs with chili-chipotle barbecue sauce, mashed Yukon potatoes, onion rings, and corn on the cob. He loved the ribs as well as all the accompaniments, a couple of which you will find in the skillets as well if you want to indulge in true gluttony. 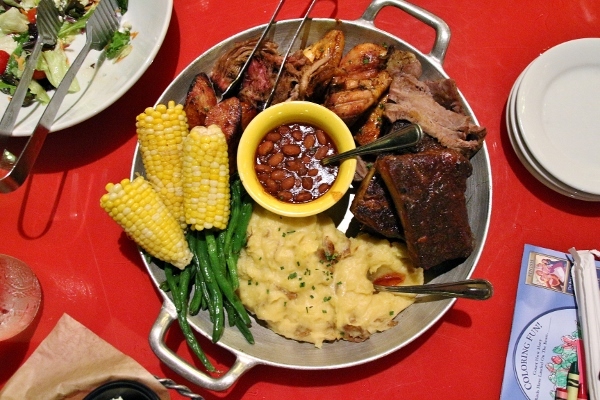 So speaking of gluttony, let's talk about the All-You-Care-To-Enjoy Skillet. 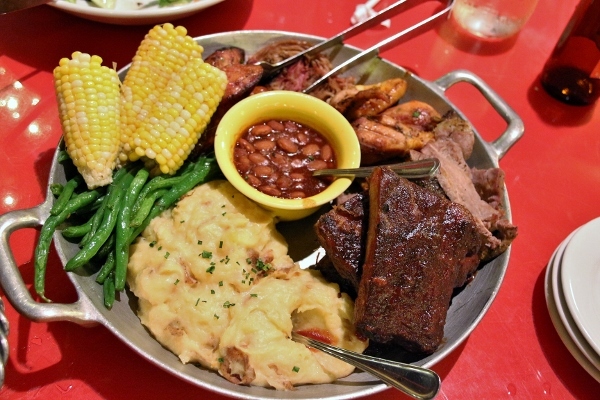 Everything is served family style, and there are several components to the meal, even before you get the actual skillet. 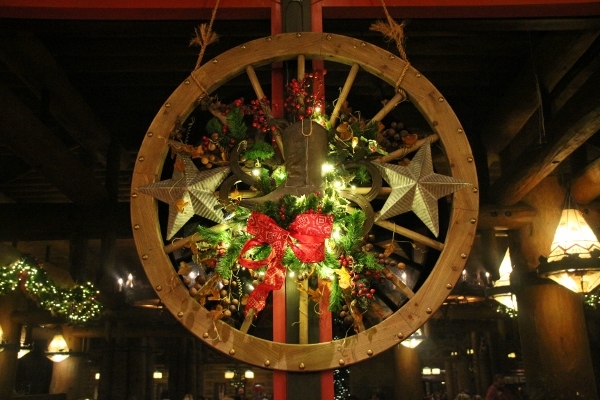 For $32 per person you will get the following: mixed greens tossed in an apple vinaigrette, fresh-baked cornbread, a skillet featuring slow-smoked pork ribs, barbecued pulled pork, roasted glazed chicken, oak-smoked beef, and western-style sausage served with seasonal farm fresh vegetables, mashed Yukon potatoes, corn on the cob, and cowboy-style baked beans. 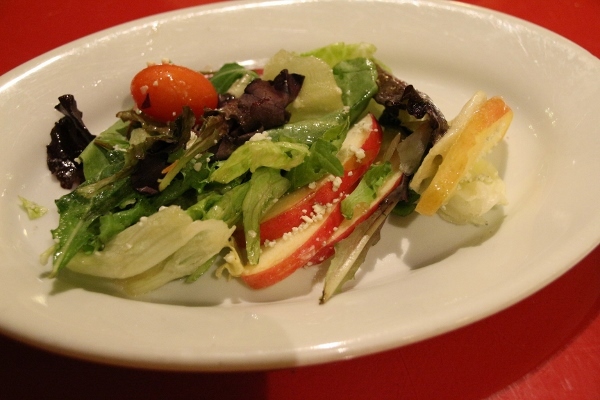 The salad also features sliced apples and some crumbled blue cheese. I'm not much of a salad person usually, but I actually REALLY enjoyed this salad. I was happy to go back for seconds! 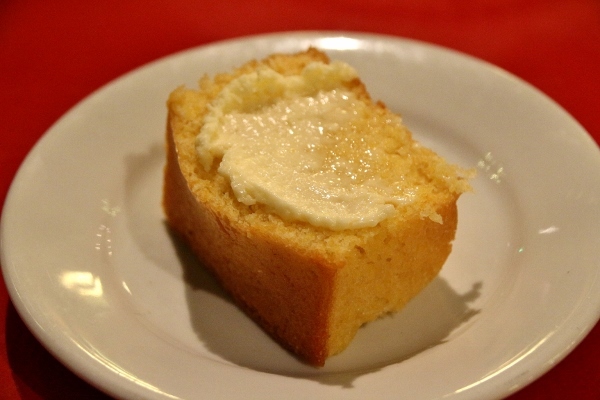 The cornbread is also quite exceptional, especially slathered in soft butter. 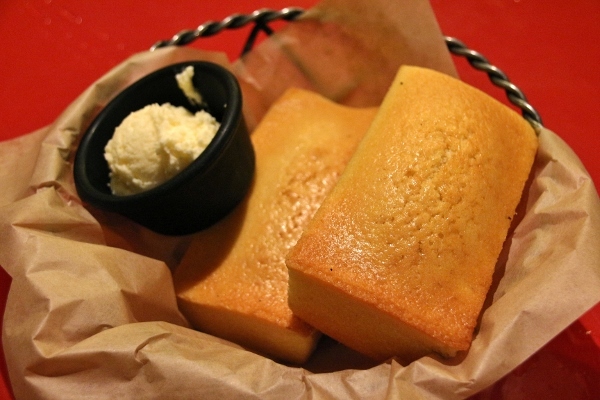 I was really pleased when our server sent us home with leftovers because it meant I could eat more cornbread the next day for breakfast. WIN! Everything is All-You-Care-To-Enjoy which is a nicer way of saying all-you-can-eat. 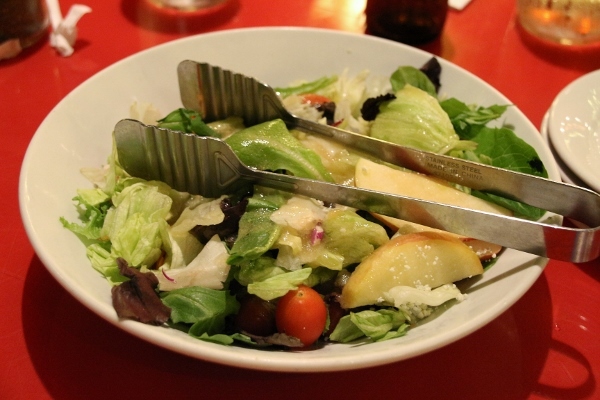 Any components of the meal that you particularly enjoy, your server will be happy to bring you more. I tried a little bit of everything in the skillet, and generally enjoyed all the items, but preferred some more than others. I really enjoyed the ribs and pulled pork in particular. My brother-in-law is a huge sausage fan, and went gaga over the sausage! I liked it too, although I'm less of a sausage aficionado. The chicken was good, but still just chicken. It was juicy and well-seasoned, but nothing crazy special. The beef was probably the least exciting component as far as the proteins are concerned. 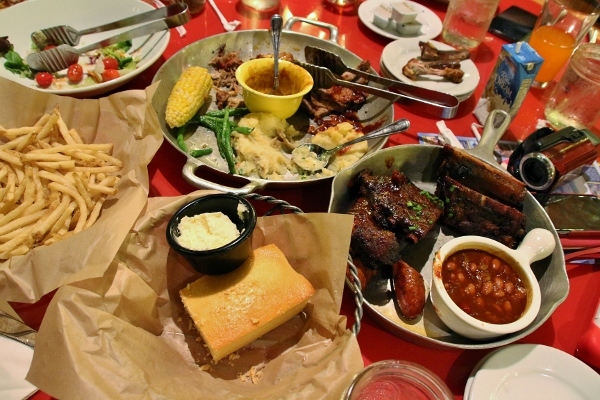 A barbecue spread like this would be lacking without the proper side dishes. The mashed Yukon potatoes are some of my favorite mashed potatoes I've had! They are so creamy and well-seasoned, I'm 100% on board with eating lots and lots of them. The green beans are also well-prepared and well-seasoned, as are the baked beans. The corn on the cob pretty standard as far as corn goes, but does a good job balancing out all the fatty, unctuous meat in this scenario. Hitting a wall and ready to pack some of this up! 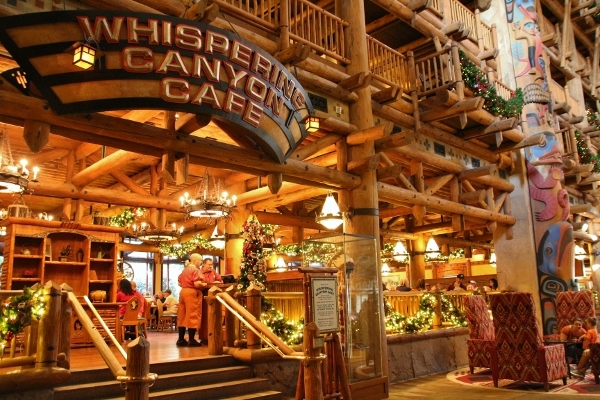 Our entire family was very pleased with the quality of the food at Whispering Canyon Cafe. I feel like most people who visit come here for the experience, the attitude, the fun servers, the pony races and the calls for ketchup, but as far as I'm concerned the food is just as a big a draw as the unique dining experience here. We were thrilled when our server asked us where we were staying, and quickly offered us some boxes to take home leftovers since we had a kitchen and could easily heat them up at our villa. 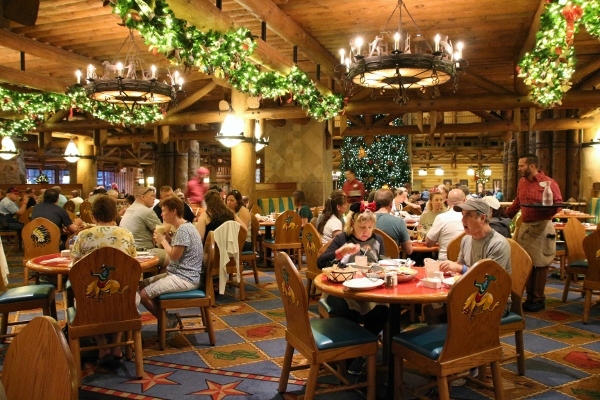 I can't imagine staying at Disney's Wilderness Lodge without stopping by for a meal here. Even if you're not a guest at the resort, it's absolutely the kind of experience that's worth going out of your way to make it part of your travel plans, especially if you have youngsters, but I assure you even a party of all adults can have a blast here.